So, the DIY bug bit you again and you can’t help but scratch that itch. You know that once the job is done, you’re going to be left with a mess, so you’re looking to rent a dumpster to handle cleanup. But how big a dumpster do you need? Let us break it down for you. How Much Does Each Dumpster Size Hold? 10 cubic yard dumpster: Typically holds about 3 pickup trucks’ worth of debris. 15 cubic yard dumpster: Typically holds about 4-5 pickup trucks’ worth of debris. 20 cubic yard dumpster: Typically holds 6 pickup trucks’ worth of debris. 30 cubic yard dumpster: Typically holds about 9 pickup trucks’ worth of debris. 40 cubic yard dumpster: Typically holds about 12 pickup trucks’ worth of debris. Now that you have a general idea of the most common dumpster dimensions, we’ll break things down into which dumpster sizes work best for various common projects. How Big of a Dumpster Do I Need for a Garage, Attic or Basement Cleanout? Unless you have a real mountain of junk to remove all at once, a 10 yard or 15 yard dumpster should do the trick. Boxes of odds-and-ends, household items, clothing, bedding and more can all be tossed straight into a 10 or 15 yard dumpster and hauled away painlessly. What About a Whole-House Cleanout? For a clean out of this magnitude, your best bet is a 15 yard or 20 yard dumpster. These dumpsters have the dimensions to handle large quantities of household junk, from the big stuff like furniture to the small knick-knacks. However, if you’re cleaning out a very large house, you might want to opt for a 30 yard. How Big of a Dumpster Do I Need to Remodel a Room? The right dumpster dimensions to handle a remodeling project depend heavily on the exact type of project you’re taking on. Tearing up your flooring? Taking down a wall? Installing new windows? In general, when you’re remodeling a single room, a 20 yard dumpster will be able to handle all the debris you’re left with. 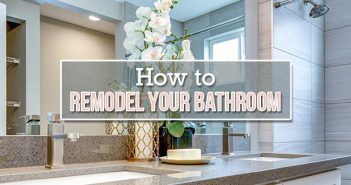 Note: if you’re remodeling a kitchen where you’ll have lots of large items to remove (cabinets, appliances, countertops, etc. ), you may need to move up a size and go with a 30 yard dumpster. 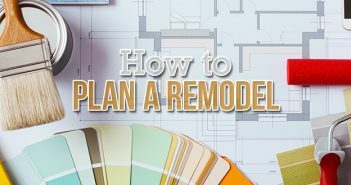 What if I’m Remodeling Multiple Rooms? 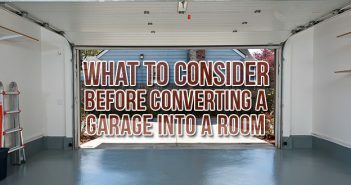 If you’re tackling a multi-room remodel, the best dumpster for the job is likely either a 20 yard or 30 yard container. Which one you choose will depend on the size of the rooms and what type of project you’re planning in each. If you’re doing just one project in each—say removing the current flooring—a 20 yarder is probably your best bet. If you’re planning multiple projects for each room, then a 30 yard is likely what you’ll need to hold all the debris. How Big of a Dumpster Do I Need for a Construction Project? Generally, the best choice for a construction job will be a 30 yard or 40 yard container. Each of these sizes can be used to quickly haul away lumber, drywall, siding and any other waste generated by your project. Keep in mind that if you’re planning a major project, like building an entirely new structure, you may need to rent more than one of whichever size you choose. What Size Dumpster Do I Need for a Demolition Project? Few projects will leave you with more debris than a demolition project. To handle cleanup efficiently, you’ll need the largest dumpster dimensions commonly available: a 30 yard or 40 yard dumpster. However, if your demolition project involves concrete, brick or other such heavy debris, you may need to rent a dumpster specifically earmarked for heavy materials. This is because, in order to haul them safely, these materials must often be transported in smaller quantities. How Big of a Dumpster Do I Need for a Landscaping Job? Unless you’re planning something extremely ambitious, landscaping projects generally leave a smaller amount of debris than other projects. A 10 yard dumpster or 15 yard dumpster is probably just the ticket to make cleanup simple. If your landscaping project involves building or removing a deck or patio, you might need to up your dumpster dimensions to a 20 yard. Need more information? We’ve got tips to make renting a dumpster a simple process. Ready to rent? We can help you find the right dumpster rental sizes for your home remodel, landscaping, construction or demolition project. Also, check out our video below to learn more about dimensions, cubic yardage and volume. Thanks for the great blog. You wrote that a 40 cubic yard dumpster will typically hold about 12 pickup trucks’ worth of debris. My father is doing a big project on his property, and was wondering if he should rent a dumpster. Considering how much they can hold, it could probably save him a lot of runs to the dump.